Most of the Service Department who offers shuttle service would have the old method of requesting a ride and that is by writing your name on a piece of paper or clipboard. This method creates dissatisfaction as customers have to wait indefinitely for the shuttle. Quickride is an application developed to increase the Service Department’s shuttle service efficiency. This application is designed to give Service Managers the ability to monitor and control how shuttles are utilized. 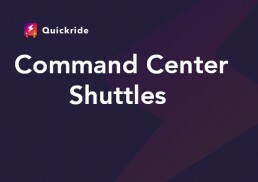 Quickride’s Command Center gives the Service Managers the ability to track their shuttles real-time. Each shuttle is color-coded for easy identification. In the Command Center, they can view Driver’s current location, the number of passengers on board and current speed. This information will help Service Managers assess the shuttle driver’s performance or activity for the day. Quickride’s interface is user-friendly that creating a ride will just take a few seconds and once the ride has been created it will be automatically passed to the next available driver making sure that your shuttles don’t miss a ride/passenger. 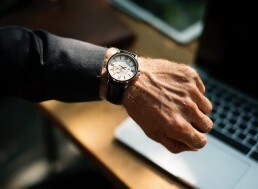 Rides are automatically assigned to Drivers and at the end of the day, a report can be extracted on who was the driver’s passengers and if the ride was canceled or completed. This increases accountability as Driver’s cannot cancel rides. Rides can only be canceled at the Command Center or by the Passenger using the passenger app link. The Driver app has a built-in navigation system that gives turn by turn instruction on the best route to take to reach a passenger. Also, if there are multiple passengers or rides, our developers created an algorithm that factors in distance, current location and number of passengers, so that rides that are within the Driver’s route are grouped together. By providing real-time visibility of the shuttles, it saves the Service Managers time on having to wait for the shuttles to arrive. With Quickride, they know where the shuttle is and when they can expect the shuttle to be back. Drivers are driving systematically and they are more organized in picking up and dropping off customers. Service Managers can be assured that shuttles are being dispatched within their driving limits/range/radius. Each ride, before if it gets booked, shows the distance from the dealership.